Phone: 09533 582. The apartment "Anja" is one of 5 apartments of various sizes on the Rosenhof. It offers 65 sqm 2 double bedrooms with a single bed, one with 2 single beds, a bathroom and a large living / dining area with fully equipped kitchen, TV and free Wi-Fi. www. fewo-rosenhof. de. The living room has a sofa bed, thus max. sleep 6 people in the apartment. Optimally, it is up to 5 people. The Rosenhof is very quiet in the Upper Main valley between the UNESCO World Heritage city of Bamberg and the famous for its Samba Festival Coburg, both cities have very interesting historical centers and many other attractions. Directly from the Rosenhof can wonderful hike, cycle, the main trail leads right past the Rosenhof. The nearest railway station is 6 km away in Ebensfeld, here is also the nearest motorway junction on the A73. In the vicinity there are many Franconian inns, breweries and beer cellar (= Franconian beer garden), which are also known for their delicious Franconian cuisine in addition to the delicious beer. This should not be missed. As Pets Dogs are allowed after consultation: Fee: € 10 flat rate. Breakfast is possible after registration for € 7.50 per person. For self catering there is a sandwich service. 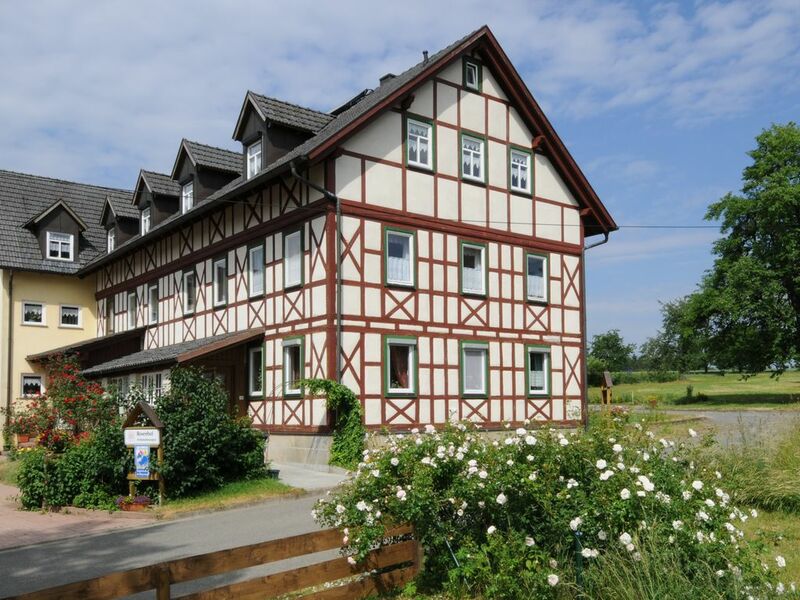 Lakes (6 km), swimming pools (10 km) and the Obermaintherme in Bad Staffelstein (8 km) are nearby. Even the triumvirate on the Upper Main, the Staffelberg, Vierzehnheiligen and the Banz Monastery are only a short distance away.